Bethlehem, PA-based suppliers of tires and tire products, STTC is now highlighting the newest product from Goodyear. 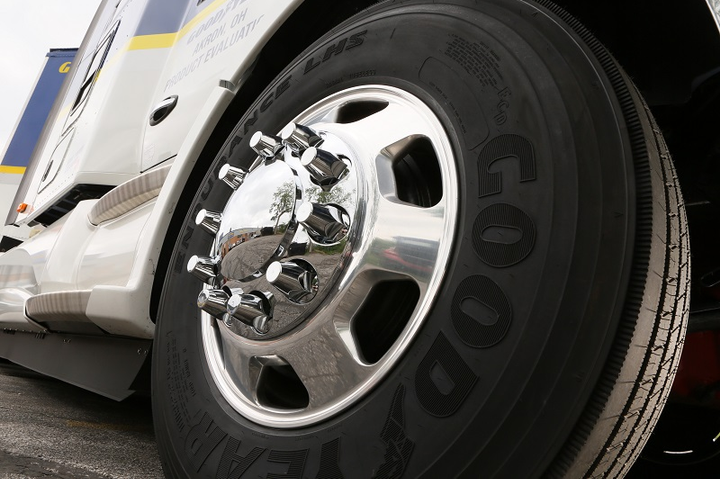 The team at Goodyear has recently released their new steer tire – the Goodyear Endurance LHS. The Goodyear Endurance LHS commercial truck tires have been optimized to provide high levels of durability with a consistent footprint and limited rolling resistance. In building efficiency within their fleet operations, operators across the country are now turning to the leading tire experts for guidance. The team at STTC has significant experience in this area of the marketplace, and works with leading manufacturers, such as Goodyear, to supply their customers with the best quality products in the marketplace. The latest release from Goodyear is an example of STTC’s commitment to supply only the best available commercial truck tires. The Goodyear Endurance LHS steer tire is designed for the fleet operator measuring every mile in their efforts to reduce costs. The product features a new dual-layer tread design with uniform stiffness for slower, more-even wear. The Goodyear Endurance LHS steer tire also features new casing compounds that offer a lower rolling resistance to improve performance across a range of environments. The Goodyear Endurance LHS steer tire is set to become one of the foremost options for fleet operators across the North American marketplace. It’s an example of the quality product options now available through the experts at STTC. To discover more about the full range of tires now provided through STTC, please contact their team today at 610-991-8641 .